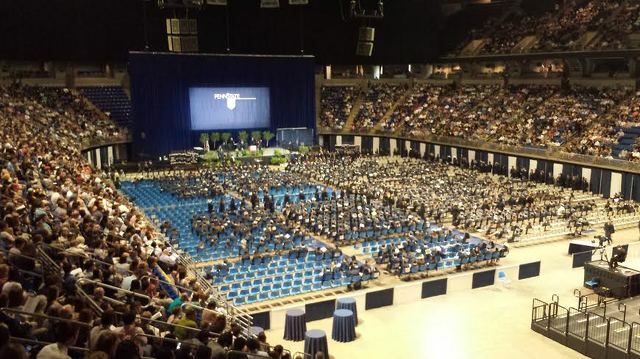 More than 13,000 Penn Staters cease being students and officially become alumni this weekend. As the spring semester concludes, commencement ceremonies and graduation celebrations begin in State College. This marks the 376th weekend of commencement exercises in Penn State's history, dating back to the university's first year in 1855. The first class graduated in 1861, with just 13 people receiving degrees. Multiply that number by 1,000 for this year's total across all Commonwealth campuses. For one Penn State graduate, Joseph Bacorn, the journey to this weekend was a long and unusual one. He started at a junior college before deciding to serve the nation. Bacorn joined the Army and ended up serving in Kuwait. When he returned, his Penn State education began online at World Campus. But on Saturday, Bacorn walked across the stage at the Bryce Jordan Center wearing the academic regalia -- a cap and gown. "It’s fantastic. I never would have believed it. It’s been quite a story," says Darrell Bacorn, Joseph's father. "It’s been a long road, but a fun one though. He’s like my Forrest Gump. He just kept going and going." He might figuratively be his father's Forrest Gump, but Bacorn did quite literally keep going and going. At one point, he biked across the United States to raise money for disabled veterans, joined by an Army buddy. Bacorn started in Los Angeles and pedaled his way to the edge of Long Island. Through it all, Bacorn has managed to convert his father to a Nittany Lion. "I’m from Syracuse and I’m forever orange, but now I have a lot of blue in me," he says. "I came to tears in there, that was nice." As for the future, Bacorn wasn't joking when he said, "I'm going to Disney World." He's set to lifeguard there for the summer, but has a long-term goal of working for Amazon in asset protection. Another student, Aaron Hoyer, took a more typical path to reach his graduation this weekend. It's certainly a time of celebration, but the ceremony was bittersweet for the new alumnus. "I know everyone says it, but I really did have the best four years of my life here," Hoyer says. "It's going to be hard to leave, but I'll be back." Bacorn felt similarly about his impending divorce with Happy Valley. "I’ll probably miss the football games, going out to the bars, and having fun with friends," he says. While 13,000 students graduate this weekend, it's an especially remarkable occasion for the student-athletes moving on from Penn State. The 101 student-athletes receiving degrees this weekend is the second-highest total in school history. 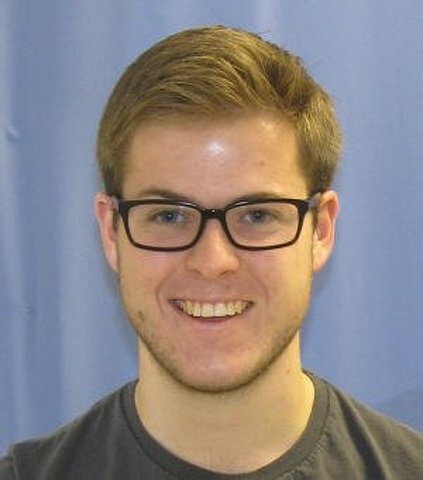 State College Police are currently looking for Penn State student and almost-graduate Jon Steindorf, according to a police news release and various social media posts. Steindorf was reported missing when he did not meet his family to go to his Penn State graduation Friday at around 4 p.m.